Our speciality is handcrafted breads and pastries. 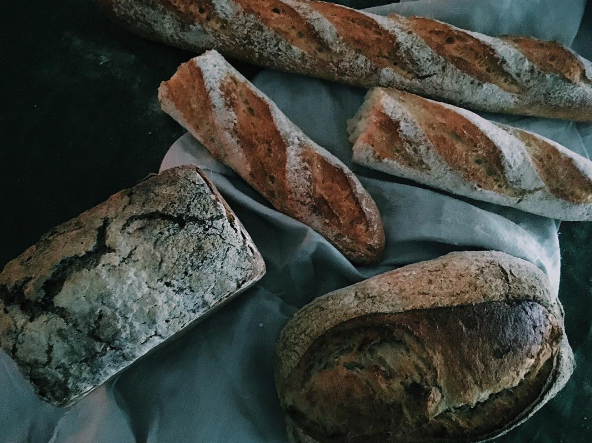 We started baking on premise in 2011 and have been concentrating on producing high quality sourdough bread ever since. We always try to use local ingredients of the highest quality - from our flour through to our eggs. Our Products are all made by hand with love, care and attention and minimal machinery. All our products are made on premise in small batches every single day. What doesn’t sell that day goes to those in need. There are no additives, artificial enhancers or sugars in our sourdough. We are a local business whose aim is to not only provide a good product but to help change the mindset of members of our community, introducing honest and natural sourdough that is made of just flour, water and salt.